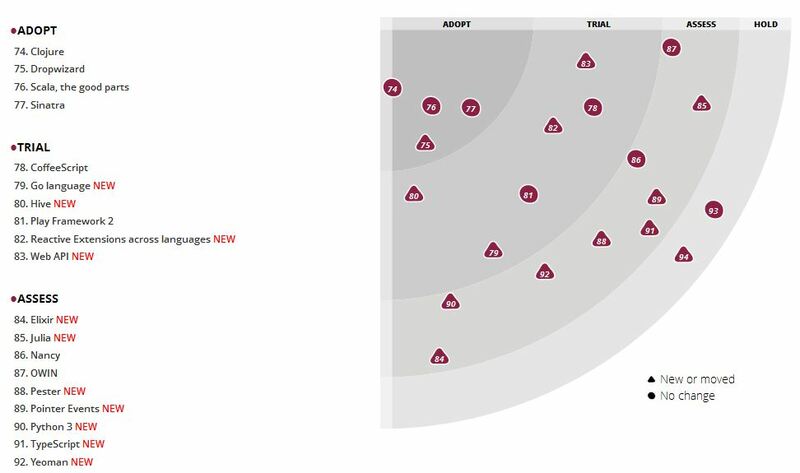 I have been an avid follower of the technology radar by ThoughtWorks. Twice a year they evaluate a set of tools, languages, frameworks and put forth a summary. It usually gives me a good insight about where things are headed in the technology front. This time, they have come up with a nice UI to represent their work. Here’s a snapshot of the radar chart that talks about the languages.